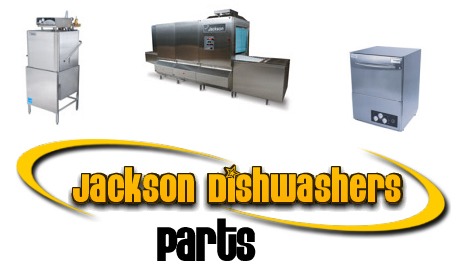 Below are links and picture representation to common replacement parts for Jackson Dishwashers. If you know the exact part number, simply login to our catalog and use the quick check out cart. The picture link will also take you to OEM Jackson part numbers and voltage information. We will be glad to lookup your parts for you!